Lo, P. K.*, Lee, J. S., Chen, H., Reisman, D., Berger, F. G. and Sukumar, S. (2013). Cytoplasmic mislocalization of overexpressed FOXF1 is associated with the malignancy and metastasis of colorectal adenocarcinomas. Exp Mol Pathol 94(1): 262-269. (*corresponding author). Lo, P. K., Kanojia, D., Liu, X., Singh, U. P., Berger, F. G., Wang, Q. and Chen, H. (2012). CD49f and CD61 identify Her2/neu-induced mammary tumor-initiating cells that are potentially derived from luminal progenitors and maintained by the integrin-TGFbeta signaling. Oncogene 31(21): 2614-2626. Lo, P. K., Lee, J. S., Liang, X., Han, L., Mori, T., Fackler, M. J., Sadik, H., Argani, P., Pandita, T. K. and Sukumar, S. (2010). 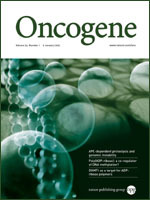 Epigenetic inactivation of the potential tumor suppressor gene FOXF1 in breast cancer. Cancer Res 70(14): 6047-6058. Lo, P. K., Watanabe, H., Cheng, P. C., Teo, W. W., Liang, X., Argani, P., Lee, J. S. and Sukumar, S. (2009). MethySYBR, a novel quantitative PCR assay for the dual analysis of DNA methylation and CpG methylation density. J Mol Diagn 11(5): 400-414. Lo, P. K. and Sukumar, S. (2008). Epigenomics and breast cancer. Pharmacogenomics 9(12): 1879-1902. Lo, P. K., Mehrotra, J., D'Costa, A., Fackler, M. J., Garrett-Mayer, E., Argani, P. and Sukumar, S. (2006). Epigenetic suppression of secreted frizzled related protein 1 (SFRP1) expression in human breast cancer. Cancer Biol Ther 5(3): 281-286. Lo, P. K., Huang, S. Z., Chen, H. C. and Wang, F. F. (2004). The prosurvival activity of p53 protects cells from UV-induced apoptosis by inhibiting c-Jun NH2-terminal kinase activity and mitochondrial death signaling. Cancer Res 64(23): 8736-8745. Lo, P. K., Chen, J. Y., Tang, P. P., Lin, J., Lin, C. H., Su, L. T., Wu, C. H., Chen, T. L., Yang, Y. and Wang, F. F. (2001). Identification of a mouse thiamine transporter gene as a direct transcriptional target for p53. J Biol Chem 276(40): 37186-37193. Lo, P. K., Chen, J. Y., Lo, W. C., Chen, B. F., Hsin, J. P., Tang, P. P. and Wang, F. F. (1999). Identification of a novel mouse p53 target gene DDA3. Oncogene 18(54): 7765-7774.